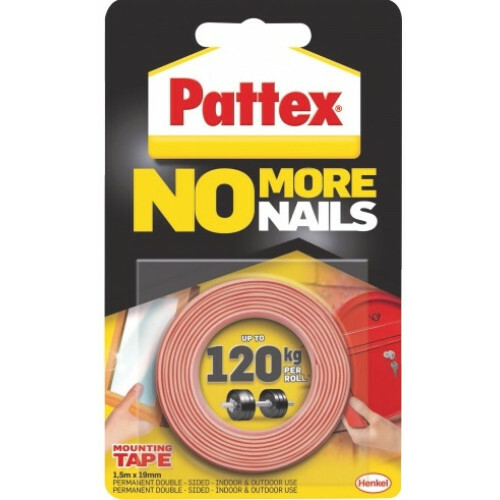 PATTEX No More Nails Mounting Tape is the ideal instant mounting solution. Pattex No More Nails can hold up to 120kg. A strong, double-sided, instant grab mounting tape for easy, fast and durable mounting.